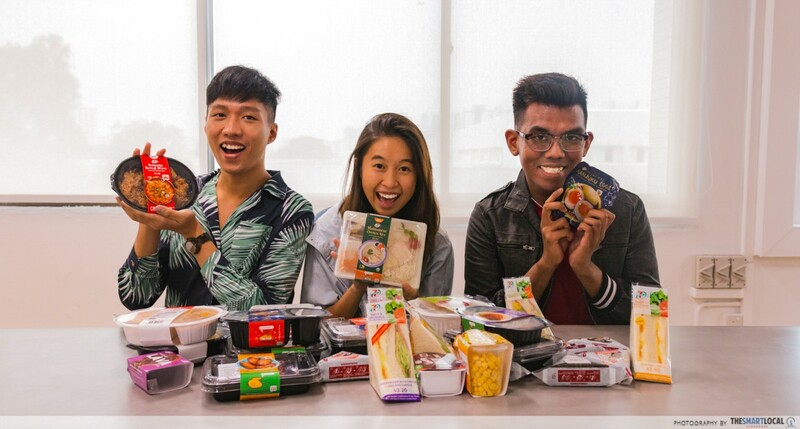 Ask any Singaporean about 7-Eleven and I’m sure they’ll regale you with stories of how its food has gotten them through times of crisis; from satisfying a late-night hunger pang to being the source of sustenance when they were a broke uni kid. From onigiris to desserts and packed meals, the chilled section of 7-Eleven is a mini food court that caters to a myriad of tastebuds. And just like how no one’s tried every single dish from a food court, no one’s tried every single 7-Eleven food in one sitting… until now. Chew onto the Nasi Lemak Onigiri ($2.50) and you’ll feel like you’re eating a mini nasi lemak with spicy sambal, egg, peanuts and anchovies with every bite. Hazeeq: That sambal was legit spicy. 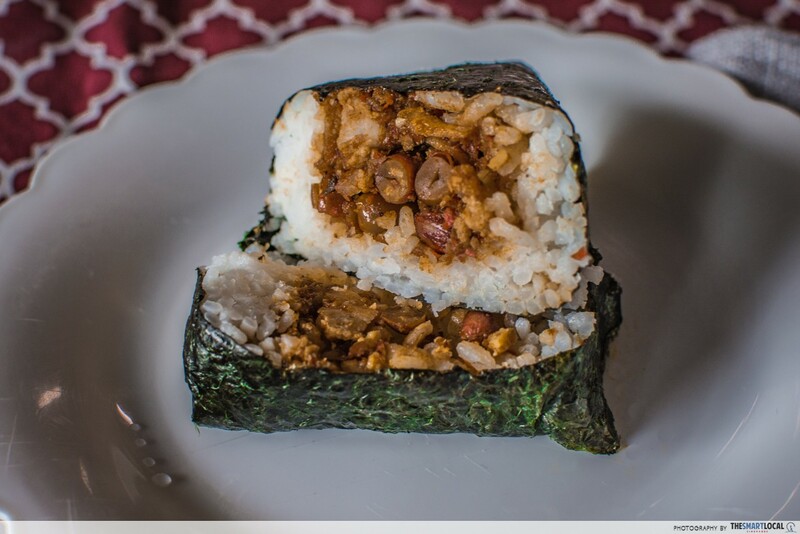 Some might think it’s sacrilege but I recommend microwaving the onigiri for the full omph as the sweet and savoury flavours will flow better and the rice will be a tad softer. Jia Hui: I like how the onigiri had the nasi lemak taste without the greasiness that usually comes with it. But having it with seaweed is a bit odd. 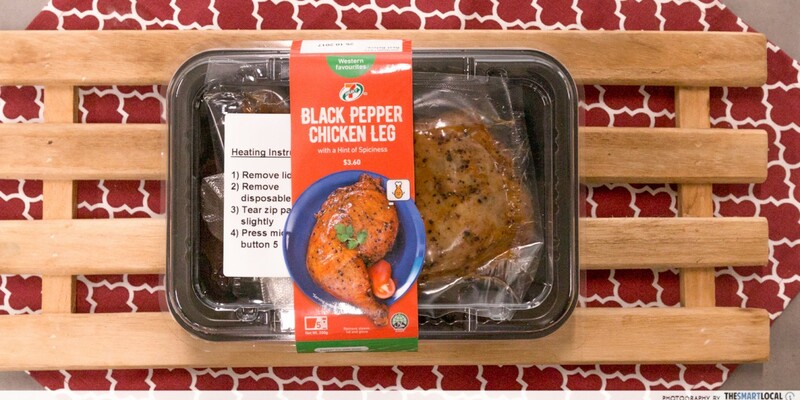 If you’re a gym rat looking for a post-workout meal, get the Black Pepper Chicken Leg ($3.60) for a burst of peppery goodness and some quick gainz. Hazeeq: The peppery taste of this was insane! You could tell they didn’t skimp on the marinade and I looove how tender the meat is. It can totally pass off for deli chicken at supermarkets. Jia Hui: I was initially taken aback by how strong the taste of the pepper was. But after that, I was impressed with the tenderness of the chicken leg, and how the flesh was sweet with a savoury pepper coat on top. Perfect for light eaters, the Club Sandwich ($3.20) checks off the basic food groups with its generous servings of BBQ chicken, coated with mayo, and layered with a generous amount of lettuce and slices of egg. Asri: BBQ sauce and mayo? A definite match made in heaven. It was sweet and savoury which I really liked and I was amazed at how the chicken meat was still firm and tender. Jia Hui: This was so good, oh my god! It didn’t really taste like Club Sandwich but a lighter version of BBQ chicken sandwich which I wouldn’t expect to find in a convenience store. 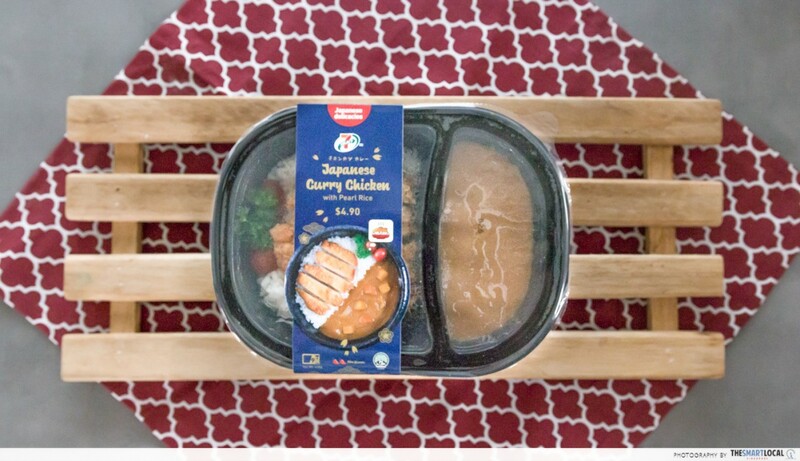 If you can’t take the usual spiciness of curry, opt for the Japanese Curry Rice ($4.90) which comes with a bountiful helping of rice, fried chicken, and impressive curry that’s mild yet flavourful. Hazeeq: The chicken and rice were satisfactory but the curry was extremely tasty! It had a rich, milky taste which made the chicken and rice taste better. Asri: The Japanese curry was mild-tasting - not spicy and salty like how I would like it to be. But it’s quite good. Rice was meh and the fried chicken can be improved. Just a little bit of tweaking of the batter would do the trick. For a hearty meal that’s naise and filling, get the Chicken Bolognaise ($3.90) as the pasta is made from high-quality durum wheat semolina, giving it a high protein count. Adding to the savoury goodness is the meaty tomato sauce that’s chock full of minced chicken. Hazeeq: Consider me shooketh as it tasted exactly like home-cooked pasta! The sauce was tangy and the spaghetti was nicely cooked. You could taste the meat in every spool. 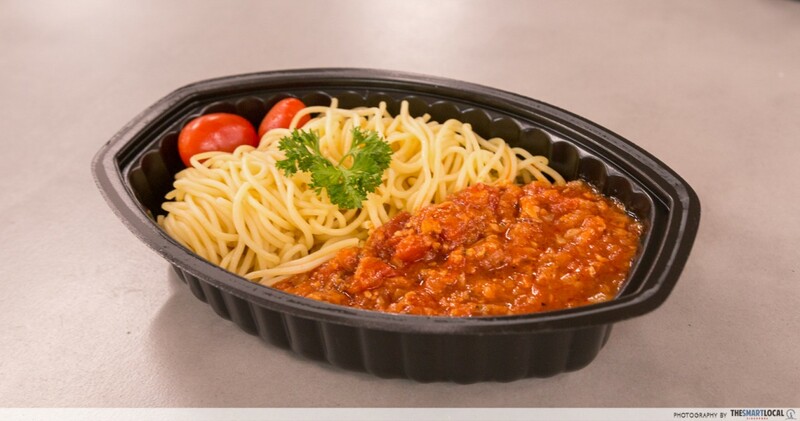 Asri: Looked pretty ordinary but I liked that they separated the bolognese from the spaghetti to prevent it from being soggy. Spaghetti was nicely cooked and the sauce was a little sweet. The minced chicken added a savoury flavour. With its crispy anchovies, soft egg, and succulent chicken, the Nasi Lemak ($3.90) comes really close to replicating the taste of a freshly-made plate of rice. Asri: After microwaving it, the aroma of the coconut rice was bursting through the packet. The rice wasn’t greasy and still moist. The chicken was seasoned well, making the meat flavourful. But omg, the ikan bilis was super crunchy and addictive! I found the sambal a bit underwhelming though. Jia Hui: The rice wasn’t greasy so I really liked that. Although the fried chicken wasn’t crispy, the taste was just nice-- salty and slightly spicy without being overwhelming. The sambal was a little lacking in taste and kick though. You’ll get a myriad of flavours with every bite of the Kimchi Fried Rice ($4.50). 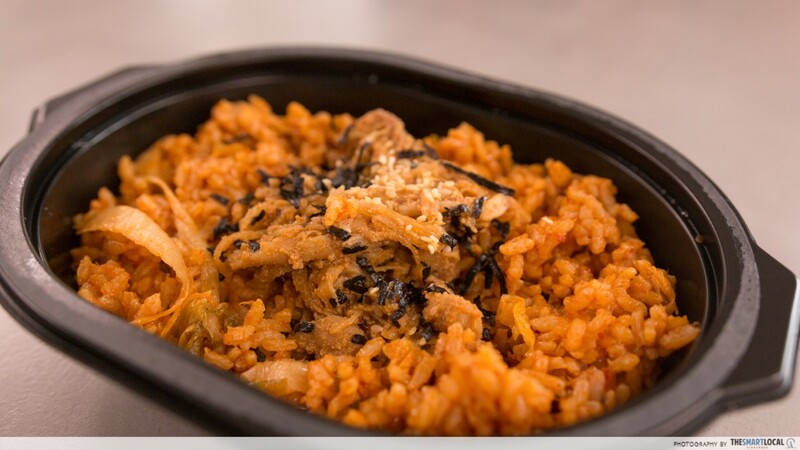 The saltiness of the kimchi, together with the slight spiciness of the rice, complements the meat well. Hazeeq: Every component of this dish was delicious but the meat was simply outstanding. It was so tender that it cut like butter and was well-seasoned, so you could taste the umami in every bite. Jia Hui: It has the perfect balance of spiciness, saltiness, and a slightly sour taste. The meat reminded me of bulgogi and although it looked dry, it’s pretty juicy. The rice stuck well together and was moist, just the way I like it! 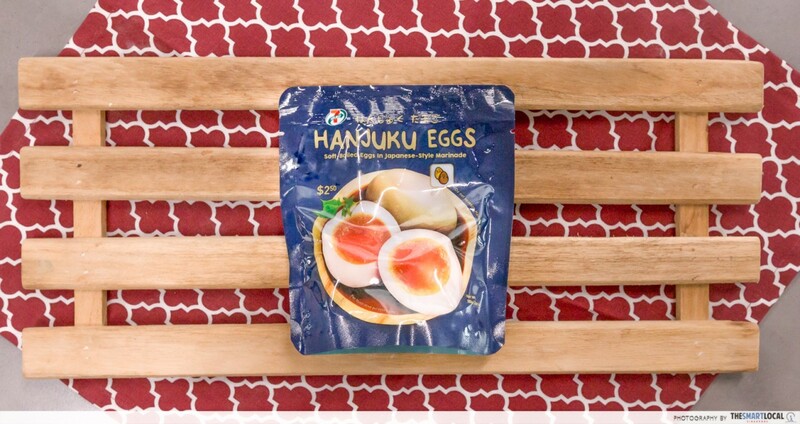 If you’re looking for something to zhng your instant noodles or a dish that’s baller on its own, get the Hanjuku Egg ($2.50) which comes with 2 soft-boiled eggs, soaked in shoyu sauce. Hazeeq: I’m not a fan of yolk but these were an exception! They were runny and didn’t have the usual "egginess". The shoyu had the right consistency and complemented the eggs well. Asri: The eggs still had a springiness to them and were very easy to cut. The egg white was nicely cooked and thoroughly absorbed the sauce, giving it a salty taste. But, omg, the yolk though. It was slightly runny and it was damn legit. Two thumbs up. 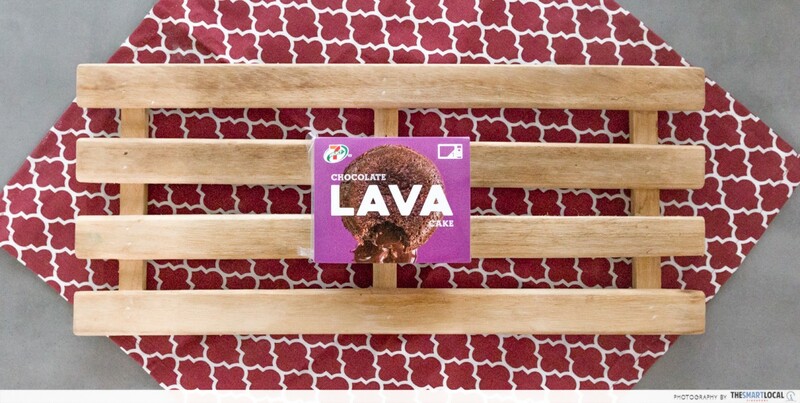 Despite its small size, the Chocolate Lava Cake ($2.80) packs a powerful punch as the cake is moist and will send shockwaves of sweetness in every bite. Asri: The person who made this deserves a pay raise.The core was gooey and oozed out when cut open. The cake was very moist and decadent - you could just swirl on your palate and let it “dissolve” beautifully. I have a sweet-tooth so this was perfect for me. If I had three thumbs I would have given three thumbs up. Jia Hui: This was sooo good. If someone gave it to me without telling me it’s from 7-Eleven, I would have thought that they da pao-ed it from some atas restaurant. Besides the fact that the insides of the cake actually flowed out, the chocolate cake wasn’t sweet to the point it’d make you jelak. For those who love biryani but hate the heatiness that comes with it, get the Butter Chicken Biryani ($3.90) that’s light on oil and ghee. Hazeeq: I like how it feels healthier as the basmati rice doesn’t have the usual oiliness of briyani. The curry was creamy which went well with the butter chicken. Asri: I liked that they used basmati rice which is essential to briyani. I could taste the butter in the curry which made it really creamy. They were generous with the chicken meat which still had good texture - firm and fibrous. The curry was just right and a little more salt would have ruined the balance. Jia Hui: The sauce was not outstanding but the chicken alone was well-marinated and the buttery curry sauce complemented the meat well. The basmati rice was not spectacular either but overall it went well with the curry. And there you have it; a guide for your next quick and convenient meal from 7-Eleven. Since the 3 of us are avid eaters, we could tell that the dishes have improved as they are more flavourful and made with fresher ingredients. Just take a bite of their Kimchi Fried Rice to taste how succulent the meat is. We liked how the food wasn’t frozen and items like the sandwiches could be eaten as they are without any compromise in taste. But best of all, you get more bang for your buck! 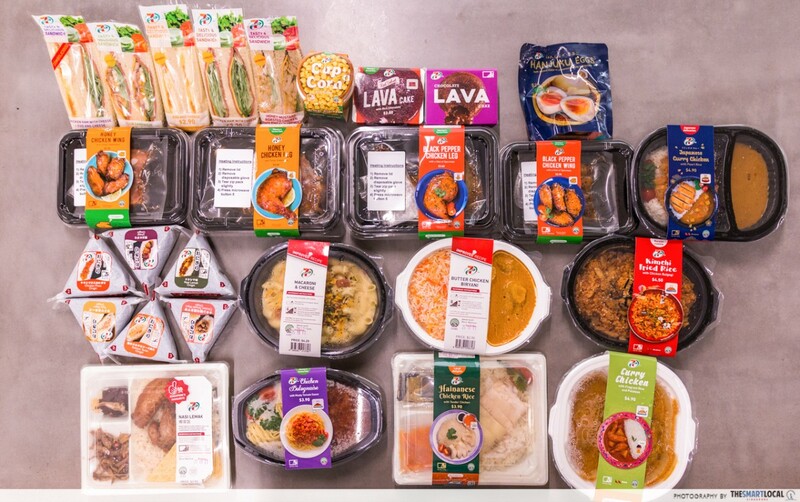 At under $5, we couldn’t believe how some of the dishes, like the Butter Chicken Biryani and Chocolate Lava Cake, came close to tasting like restaurant-quality meals. 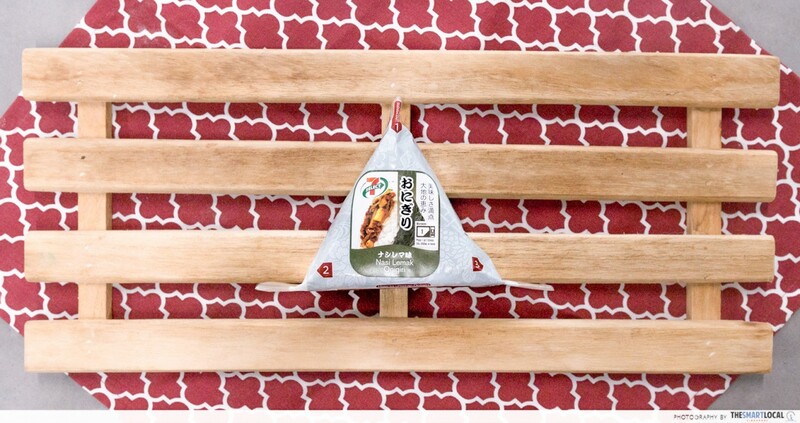 So the next time you’re feeling hungry, skip the same ol’ restaurants and get your fill at the store that’s more. Find your nearest 7-Eleven here! This post was brought to you by 7-Eleven.